A specialist in dental implants and esthetic restorations, Dr. Julian Osorio has expertise in restoring optimum appearance and function to his patients’ smiles. As a cosmetic dentist in practice for over 30 years, Dr. Osorio has advanced training in esthetic procedures, dental implants, TMD problems, traumatic injuries to the mouth, congenital anomalies, sleep apnea treatment and oral cancer reconstruction. He is considered a master of complete oral rehabilitation. Dr. Osorio is one of the pioneers that revolutionized the replacement of missing teeth with dental implants. In 1993, he designed and patented the dental implant abutment system that made it possible for practitioners to achieve predictable, superior esthetic results in fewer patient visits, while eliminating the complexity associated with traditional implant solutions, which only focused on replacing function. In 1996 Dr. Osorio founded Atlantis Components, Inc., a company committed to merging the long-lasting function of dental implants with esthetic results. In 2007 The US National Association of Dental Implant Laboratories elected Atlantis “Supplier of the Year”. Today, Atlantis Components, Inc. is a owned by Dentsply Implants, which supplies Dr. Osorio’s abutment technology to the world’s leading implant manufactures such as Astra, Nobel and 3i. 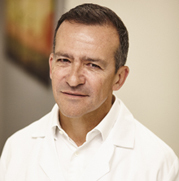 Currently, Dr. Osorio holds the position of Assistant Clinical Professor in the Division of Graduate and Post-Graduate Prosthodontics at Tufts University School of Dental Medicine, where he has been on the faculty since 1984. He also serves in the Dean’s Board of Advisors at Boston University Goldman School of Dental Medicine. Dr. Julian Osorio obtained his dental degree from the Pontificia Universidad Javeriana, Bogota, Colombia in 1979. He obtained his DMD, Master of Science in Dentistry, and his post-graduate training in Prosthodontics from Boston University Goldman School of Dental Medicine. Dr. Osorio joined Watkin Dental Associates in 1992 and subsequently became a full partner and now the sole owner of Osorio Dental Group. He lectures internationally to dentists and implant surgeons on the latest advancements in dental implant technology and developments helping achieve ideal esthetics and healing time. Dr. Osorio served as Vice-President of the American College of Prosthodontics (MA division) and remains an active member. He is also a member of the American Dental Association, the Massachusetts Dental Society and the American Academy of Osseointegration. When he’s not practicing dentistry, Dr. Osorio enjoys spending time with his three children. He is an avid golfer and very much into fitness and maintaining a healthy lifestyle.